Were you paying attention to the headlines that ran across the bottom of our news channels and appeared in major publications back in the fall of 2015? The World Health Organization (WHO) released a report that placed processed meat in the highest of five possible categories of cancer-causing substances. The report is the result of a formal review by 22 experts from 10 countries who looked at more than 800 studies done around the world which investigated meat consumption and cancer; some studies provided data on both types of meat (processed meat and red meat); in total more than 700 epidemiological studies provided data on red meat and more than 400 epidemiological studies provided data on processed meat). The report, which was published in The Lancet, classified processed meat as “carcinogenic to humans” (category 1) – the same classification as asbestos, arsenic and cigarettes. This category is used when there is sufficient evidence of carcinogenicity in humans. 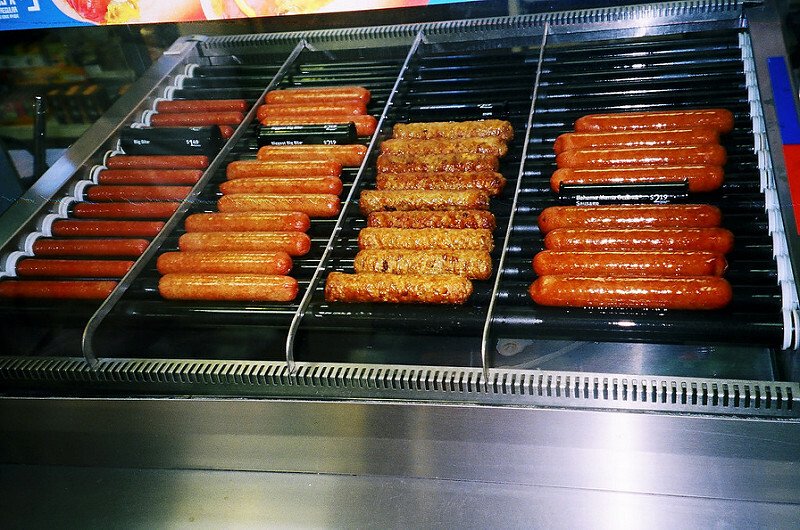 In the case of processed meat, this classification is based on sufficient evidence from epidemiological studies that eating processed meat causes colorectal cancer. The report goes on to explain that the five classifications describe the strength of scientific evidence about an agent being a cause of cancer, rather than assessing the level of risk. Processed meat refers to meat that has been transformed through salting, curing, fermenting, smoking or other processes to enhance flavor or improve preservation. Most processed meats contain pork or beef, but processed meats may also contain other red meats, poultry, offal, or meat by-products such as blood. 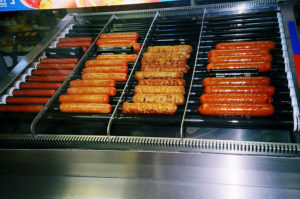 The WHO’s examples of processed meat included hot dogs, ham, sausages, corned beef, beef jerky, canned meat, and meat-based preparations and sauces. Bacon, salami and other certain deli slices would also certainly fall into this category. The risk of cancer generally increased with the amount of meat consumed; an analysis of data from 10 studies estimated that “every 50 gram portion of processed meat eaten daily increases the risk of colorectal cancer by 18%” and that it also raised the risk of stomach and other cancers. For reference, 50 grams (1.8 oz) would equate to 2 slices of bacon, 2 slices of ham, 1 piece of smoked sausage, or about 1 hot dog. Think about how much of these foods we see served every day: Breakfast sandwiches with ham, sausage or bacon; foot-long deli subs piled high with processed meats; pizzas covered with pepperoni or salami; hot dogs are commonly served everywhere; brats can be purchased at the gas station; pre-packaged containers of seemingly healthy lunch meat snacks; packages of jerky are available at most check-out counters. And how much of these foods are being consumed in our own homes? In the case of red meat (which the study refers to as all mammalian muscle meat, including, beef, veal, pork, lamb, mutton, horse, and goat), the classification of “2a – Probably Causes Cancer” is based on limited evidence from epidemiological studies showing positive associations between eating red meat and developing colorectal cancer as well as strong mechanistic evidence. Limited evidence means that a positive association has been observed between exposure to the agent and cancer but that other explanations could not be ruled out. 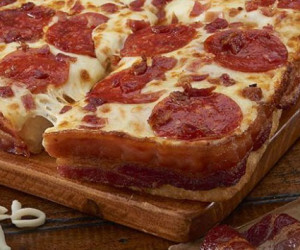 The American Institute for Cancer Research had this to say in their official statement: “AICR strongly supports the (WHO’s) report classifying red and processed meats as carcinogens, and we hope it will spread the message that what we eat plays a role in cancer risk. For years AICR has been recommending that individuals reduce the amount of beef, pork, lamb and other red meats in their diets and avoid processed meats like bacon, sausage and hot dogs.” Per AICR’s website, their take home message is that by eating a healthy diet, staying a healthy weight and being active, half of colorectal cancers could be prevented. In fact, for the most common US cancers, healthy changes to American’s diet, activity habits and weight could prevent an estimated one-third of cancers, about 340,000 a year. Will this news affect what Americans choose to consume? 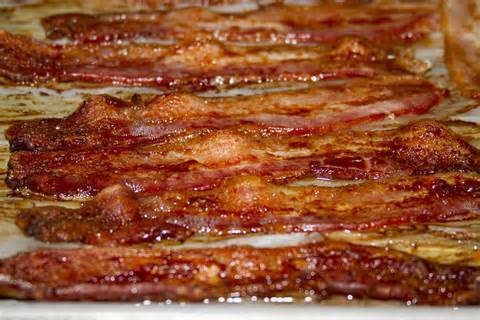 Will we pay attention now that processed meats have been classified as a known cause of cancer? Or sadly, will we let the news roll by as we choose to dismiss the science in order to indulge our taste buds and habits. Will the irony escape us as we continue to serve hot dogs, pepperoni pizzas and other foods containing processed meats at fundraising events for cancer awareness? Let’s truly become aware and take steps accordingly in the right direction. I can help you take those first steps.